MIS Claims is a specialist in road traffic accident management. For over 25 years, we have been helping the people of Northern Ireland pick themselves up, dust themselves off and get back on the road after being involved in a road traffic collision. 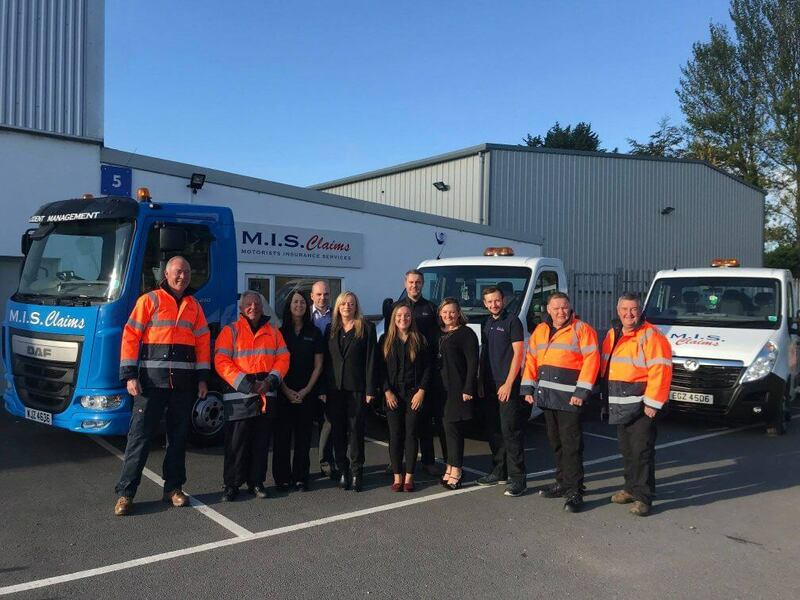 Pictured above is our happy fleet team posing in the sunshine. They are a critical aspect of our business and responsible for a fleet in excess of 200 vehicles. The Fleet Team is responsible for an extensive collection of replacement vehicles which are hired to clients as temporary replacements while their own is off the road. The vehicle is charged to the insurer of the third party who caused the collision. In terms of cars, we have a wide range which will cover all needs; from a small Kia Picanto right up to an Audi Q7 or a Range Rover Velar. Whatever your requirements, you can rest assured that MIS Claims has got you covered. The same goes for our selection of replacement vans, which could prove to be essential for those involved in a trade business. Whether you need a Citroën Berlingo or an LWB Citroën Relay, you can count on MIS Claims. And what’s more, our fleet includes taxis, dual control vehicles, 7 seater vehicles, automatic vehicles and vehicles with tow bars, should you have any special requirements. MIS has also invested in delivery trucks so that we can deliver straight to you or your repairing garage and collect it again saving you any hassle. Do you want to get back behind the wheel after an accident? Give us a call on 028 90 484 484, download our app or email claims@misclaims.com. We would be happy to help!